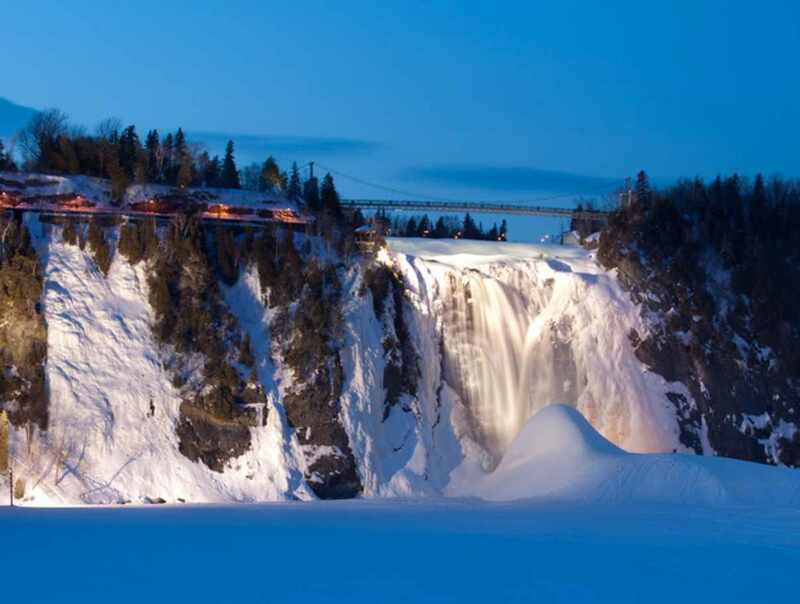 In the winter, you can admire the waterfalls in all its glittering icy finest. The frozen water near the base of the falls creates a formation of ice called Sugarloaf Hill. You can hike or snowshoe along the 3 km (1.9 mi.) of groomed trails at the site. The view of the snow-covered landscape from the cliff top is absolutely gorgeous! Snowshoes may be rented at the Montmorency Manor.